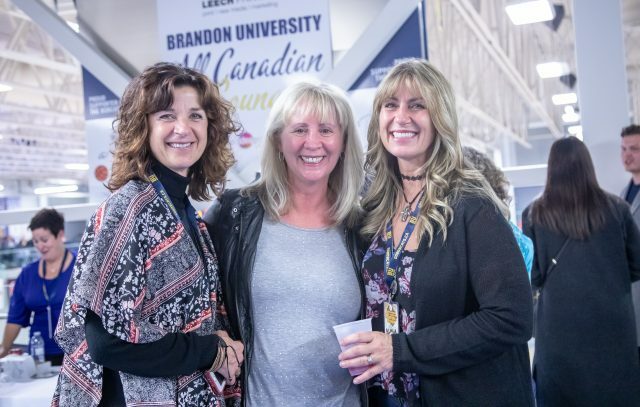 BRANDON – The Brandon University is still basking under the golden glow of this past weekend’s special BU50 Homecoming celebrations. This year’s expanded Homecoming included traditional academic, alumni and athletics reunions, awards and get-togethers, as well as Bobcats matches and campus tours, with much more added to commemorate the 50th anniversary occasion with a party for the entire community. 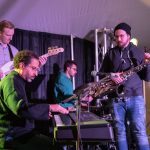 The golden anniversary meant a much bigger Homecoming than in previous years, with many more events across campus than usual. 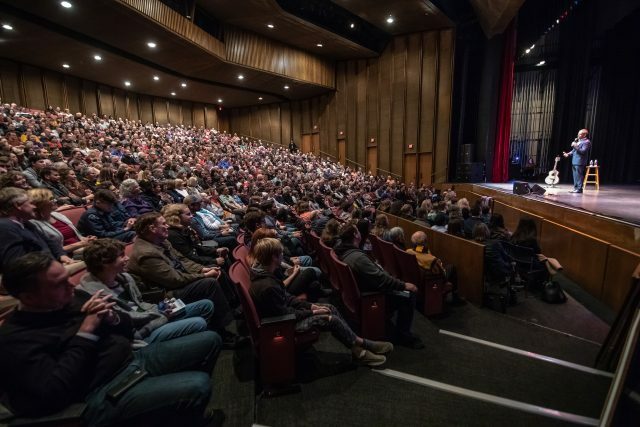 New highlights included a community research conference, a music festival in a gigantic heated tent, a family fun day, and keynote speaker Col. Chris Hadfield. 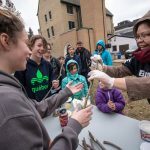 “We were thrilled by the wide range and sheer number of people who turned out for all of our events, as well as all the members of our campus community who helped pull it off,” said Carla Eisler, BU’s Director of Advancement and Alumni Relations. Homecoming kicked off Thursday with an information night for future students, a talk by Interim President Dr. Steve Robinson, and a pro series concert with faculty from the School of Music, as well as art and athletics exhibits, an authors’ celebration, and a night at the BU Observatory. 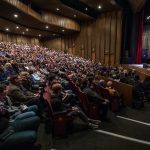 Friday saw one of the top highlights of the weekend, with Col. Hadfield delivering two keynote speeches, including one that was delivered to middle-years and younger students from across western Manitoba. After the public keynote in the evening, Col. Hadfield stayed late to ensure that every fan had a photo or a signed book before leaving. 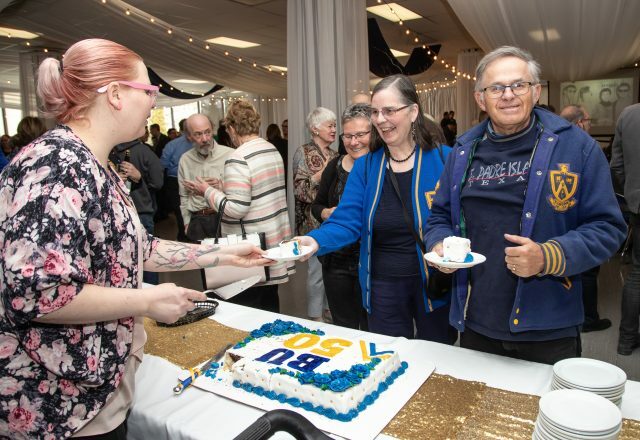 Also Friday were the official kick-off reunions for classes celebrating anniversary years, the Bobcats basketball teams, and all faculty, staff and retirees who were invited to the BU 50th anniversary Champagne Reception. 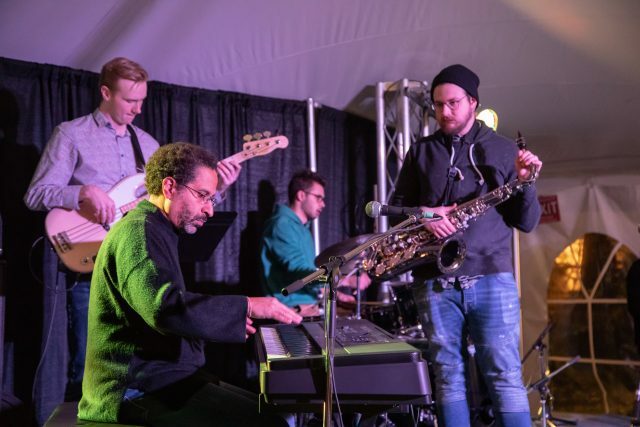 While cold, blustery weather blew in for the Family Day activities and the Fifty Fest concert on Saturday, the campus was bustling all day and late into the evening with high-calibre activities and entertainment — indoors, outdoors, and under a 5,400-square-foot heated tent. 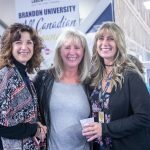 Homecoming concluded on Sunday with a farewell brunch attended by many alumni who lauded the university for a wonderful weekend, reminisced about their years at Brandon College and Brandon University, and spoke with ambition about the future of BU and the future of Homecoming. “Every year it seems we outdo last year, but this year’s golden anniversary was something very special,” Eisler said. 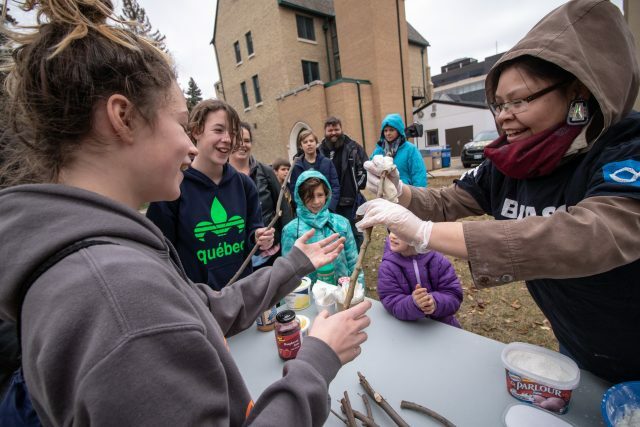 “We learned a lot about what new elements our community are eager to support, and we are already talking about how we can make Homecoming 2019 another must-do event in Brandon.